The new TotoFit ORBit is a one-of-a kind canine fitness product designed specifically for dogs. You will not find this product in the human market or manufactured elsewhere. The technology is unique and the process to make it is complex and timely. 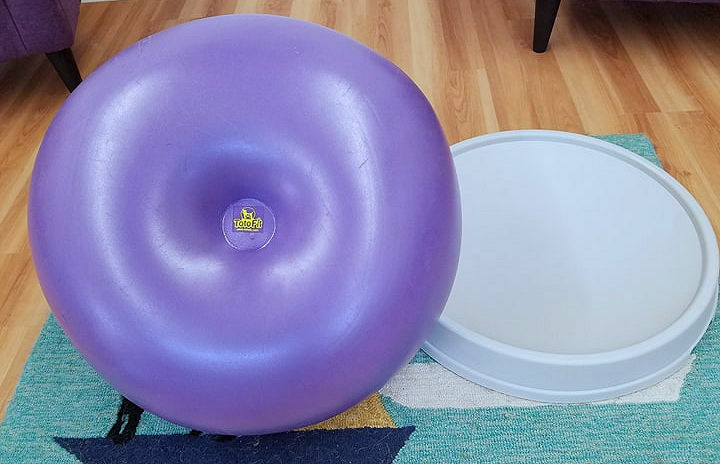 Packaged with our K9 Kore Disk, this is a great opportunity to improve your dog’s sore strength, proprioception and balance with two safe and effective pieces of TotoFit equipment. We put it together with our K9 Kore Disk to bring you two awesome canine fitness products that are both safe and effective. Inflate with a regular air pump. See individual products for specific instructions.